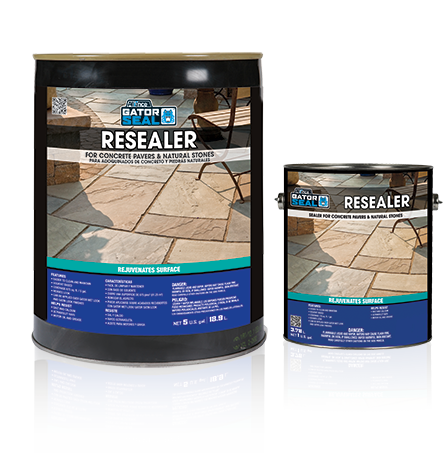 “Gator Seal Resealer for concrete and natural stone pavers is made from acrylic based polymers. 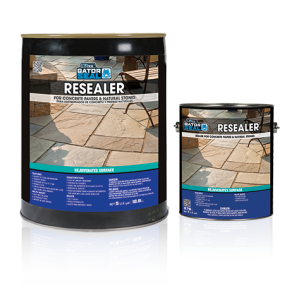 Gator Seal Resealer will penetrate the formula of the existing sealer and reactivate the molecules to create a rejuvenated seal to protect the paver surface. Thus reducing the penetration of oil and dirt, as well as protecting them from de-icing salt.